Did you know that Facebook Messenger alone as over 1.3 billion active users (all by itself, it’s almost like another social media network within Facebook)? Facebook messenger is bigger than Snapchat, Twitter, and Instagram combined. According to Ben Parr of Inc, in 2017, your potential customers had over 7 billion conversations, engaged in 17 billion real-time video chats, shared 500 billion emojis, and expressed themselves with 18 billion GIFs. Meanwhile, organic social content updates don’t drive much traffic to your website (or landing pages). Twitter is only getting busy with chatter and Facebook’s organic reach is slowly dying. Further, the actual shelf life of a typical organic update on social networks is less than an hour. Most businesses still don’t use Facebook messenger and dig into its size, sheer conversation-enabling power, and to take advantage of the high open-rates and engagement rates that messenger gives you. Getting people to talk to your business on Facebook Messenger puts your potential customers in a natural state of conversation — as against filling up forms on landing pages or filling up the contact form on your homepage. As people chat with you on messenger, you are able to establish instant trust and maybe even develop relationships. Did you know that there’s a dedicated URL to make people get straight to the messenger account for your business? Facebook uses “m.me” links dedicated to each business page (and hence messenger) accounts. The format of the link is http://m.me/, where PAGE_NAME is the handle your business page. Permanently use the link on business cards, letterheads, corporate stationery, and other traditional media you might use for your marketing. Replace your contact form and instead just use a button that points to your Facebook Messenger. Use Calls to action under your blog posts (or in the middle of your blog posts) and nudge your blog readers to have conversations with you. Use any available tools such as Divi’s Bloom, Optinmonster, or Sumo to add fabulous looking “Middle of the post” or “Under the post” Calls to action. Share your link on social media regularly. Further, place the link within the bio sections of each social networks. For instance, use the link in your Instagram bio, Twitter bio, Facebook page, etc. Share that link. Get people to talk. These conversations are from people who are hot leads and those that might be seriously considering your products or services. Facebook Messenger is so important that you have a separate objective within Facebook advertising called “messages” objective. 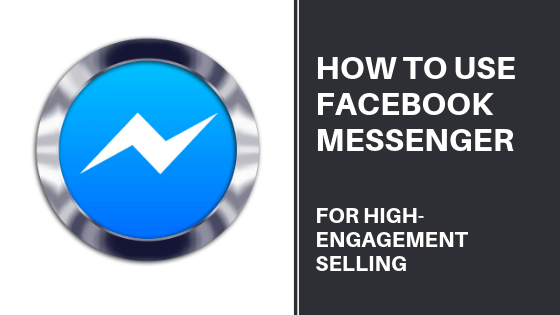 By using “messages” as the objective, you are essentially aiming to have conversations with interested audiences at scale by using the Facebook messenger. All the traffic that you’ll drive with these Facebook ads will have a single call to action: start a conversation with your business using the messenger. As usual, you can split-test your ads, select your target audiences, use custom audiences, or take advantage of Facebook’s lookalike audiences. For even better results, try launching your Facebook ad campaigns with the “messages” objective as purely retargeting campaigns. It’s like you are trying to make actual conversations with everyone who visited your site and left without doing anything. If we know any better, just by using the retargeting option alone, your conversions will go through the roof. 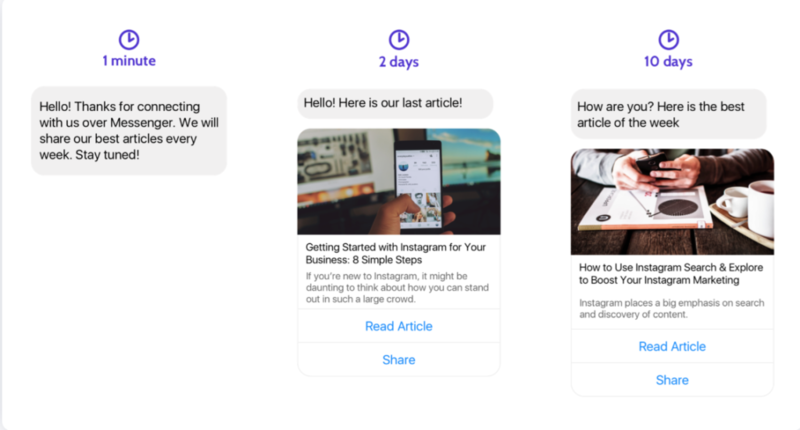 One of the easiest — and completely automated — way to keep your “Facebook Messenger subscribers” engaged is to send out weekly updates triggered by new blog posts published on your blog to your subscribers. 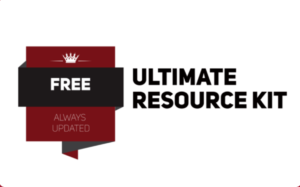 Use Botletter, By using any of the chatbot tools available for you to use, create a one-time automation rule that sends out your new blog posts automatically for your subscribers to read. Given that the Facebook Messenger is a relatively uncharted territory (as of now) and that Facebook messenger users are almost always on the messenger, these updates serve multiple purposes for your business. 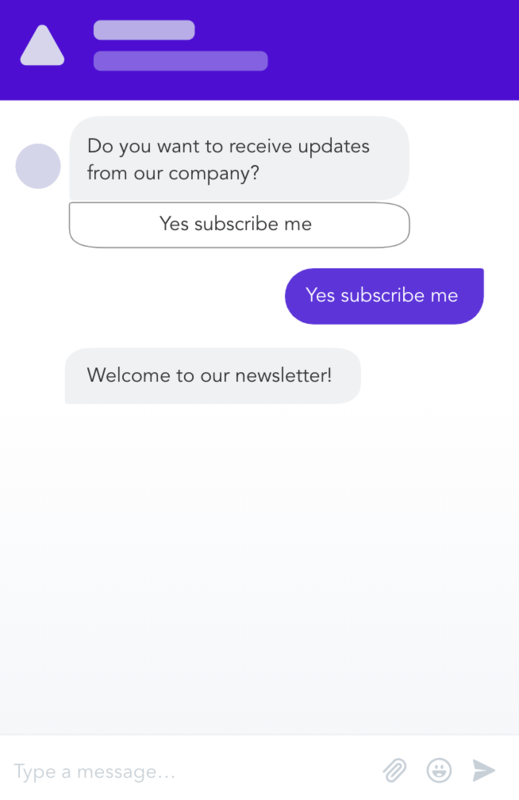 While bots can’t completely relieve humans off their hot seats when it comes to customer service, support, and active engagement on websites and landing pages, engaging your website visitors with bots is a highly-effective, semi-automated way to manage conversations and live chat instances on your website. Without you having to be present each time a conversation is triggered by a website visitor, you can make your bots do the heavy-lifting. You could build custom workflows using any of the chatbot building tools or chatbot software to create workflows for practically anything you want to accomplish using bots. Have questions about your paid advertising strategy, Facebook Ads, Google Ads, sales funnels, or landing pages?